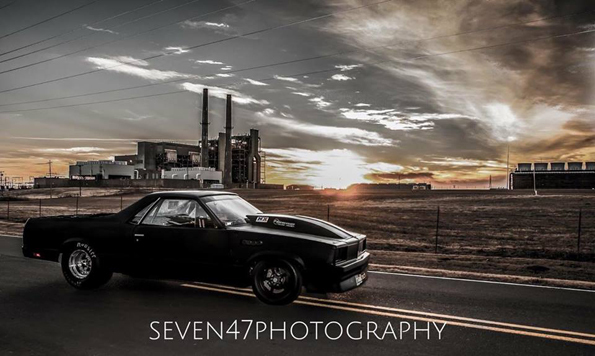 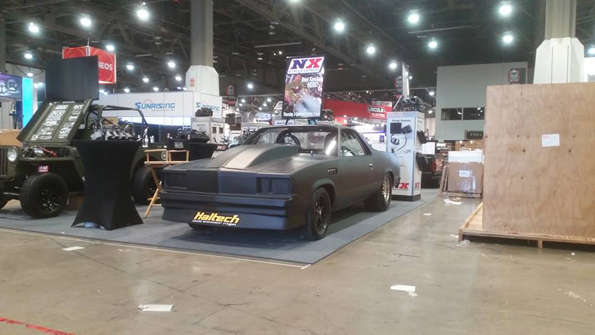 If you’re a fan of the Discovery Channel’s Street Outlaws you’re probably familiar with one of the show’s most colorful personalities – Chris Day aka “Kamikaze” and his new ride, an ominous, matt black, 1981 Chevrolet El Camino aka “ElCo”. 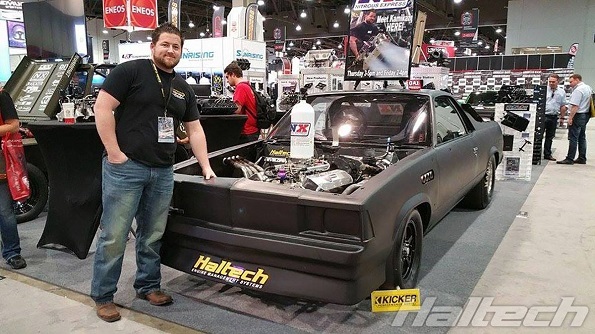 Bought by Kamikaze from its previous owner, Justin “Big Chief”, the car has been sitting under covers until late last year when the decision was made to resurrect it and give it a full EFI make-over. 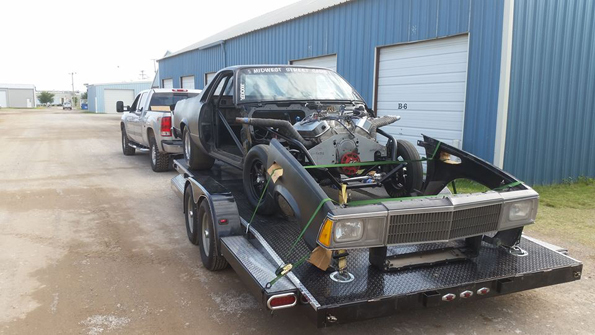 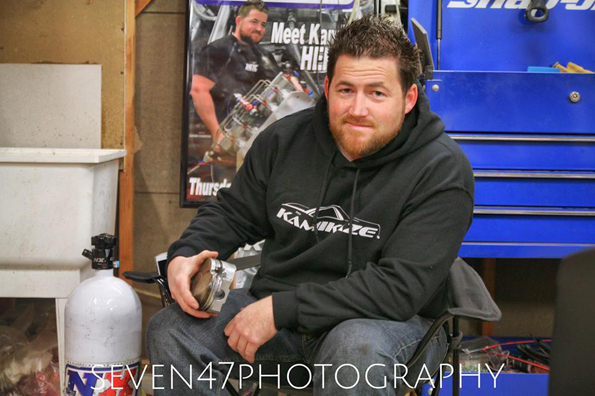 The 496ci big block engine was built by Kincaid Racing Engines and in Chris’ own words it makes “enough power to take on the big boys”. 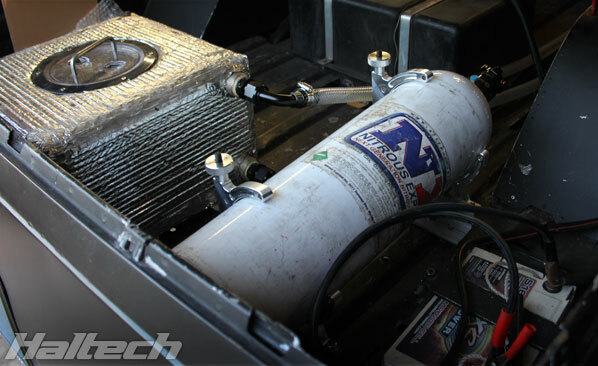 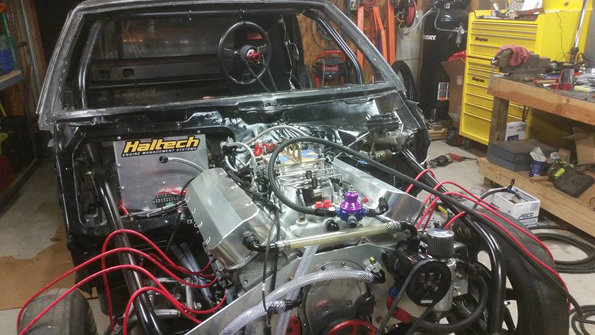 As well as running the engine, Haltech’s Elite 2500 ECU also controls Nitrous Express six stage dry Nitrous system. 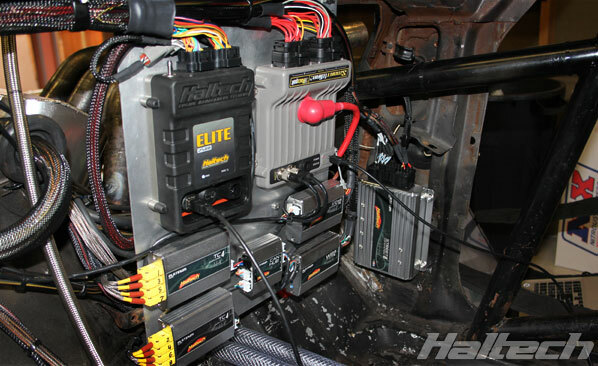 The engine management system also includes a 2-channel Wideband Controller, a Pro Select 8 CDI and Thermocouple Amplifiers. 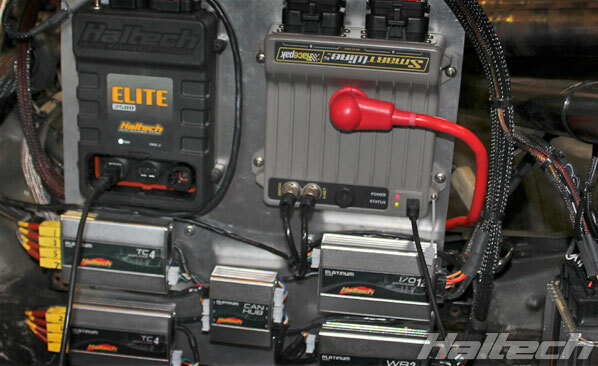 All the wiring is kept safe and tidy thanks to RacePak’s SmartWire. 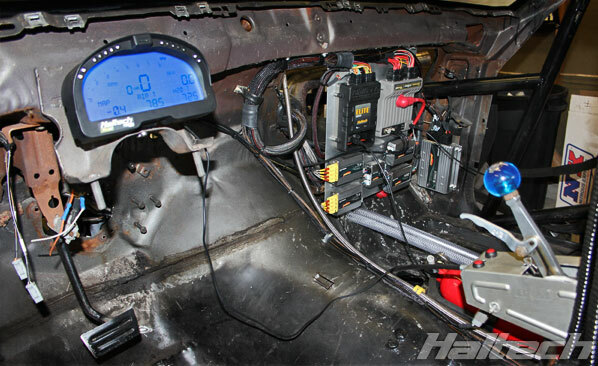 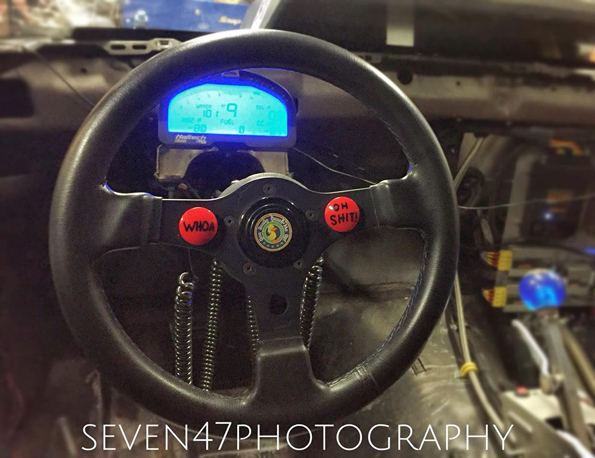 The ECU reports directly to the IQ3 logger dash. 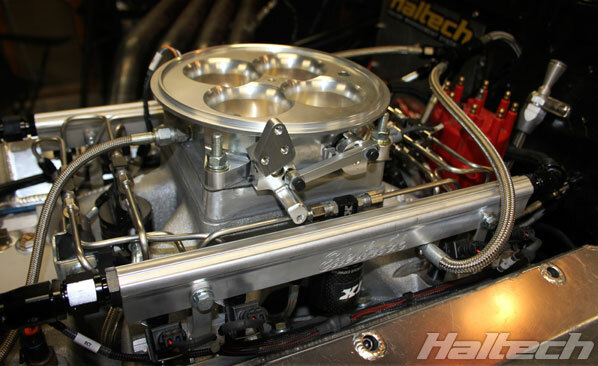 Being a grudge car, the ElCo needs to be consistent and reliable and that’s where the EFI and Haltech engine management really shines. 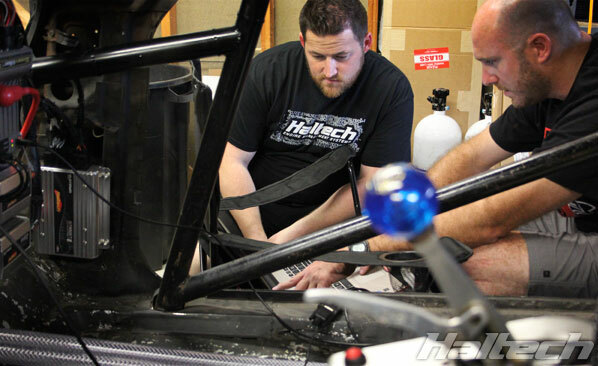 Tuned by one of the most respected names in the industry, Ben Strader of the EFI University, the car takes full advantage of ESP’s advanced functions.